Almost immediately after its opening earlier this year reviews were published concerning Zuri's Sweets Shop. While this is super normal in the Disney blog community, the focus on Zuri's was almost universally about the (now notorious) animal poop sweets. While the novelty treats didn't last long, the sweet shop remains in all its adorable detail. Its a shame that more attention wasn't paid to the theming of the shop in those initial reviews. Though I'm not doing a full review right now, I did want to focus on one of my absolute favor silly details. 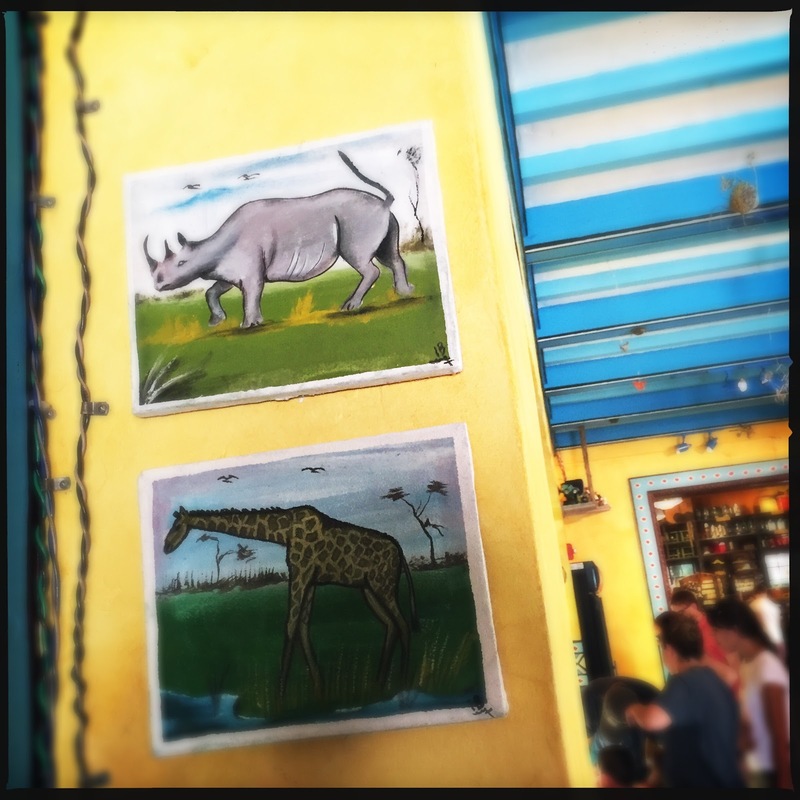 Located in an inconspicuous nook near the bakery case/register area are three terrifically naive (or at least faux naif as the rest of Harambe would suggest...) animal paintings! 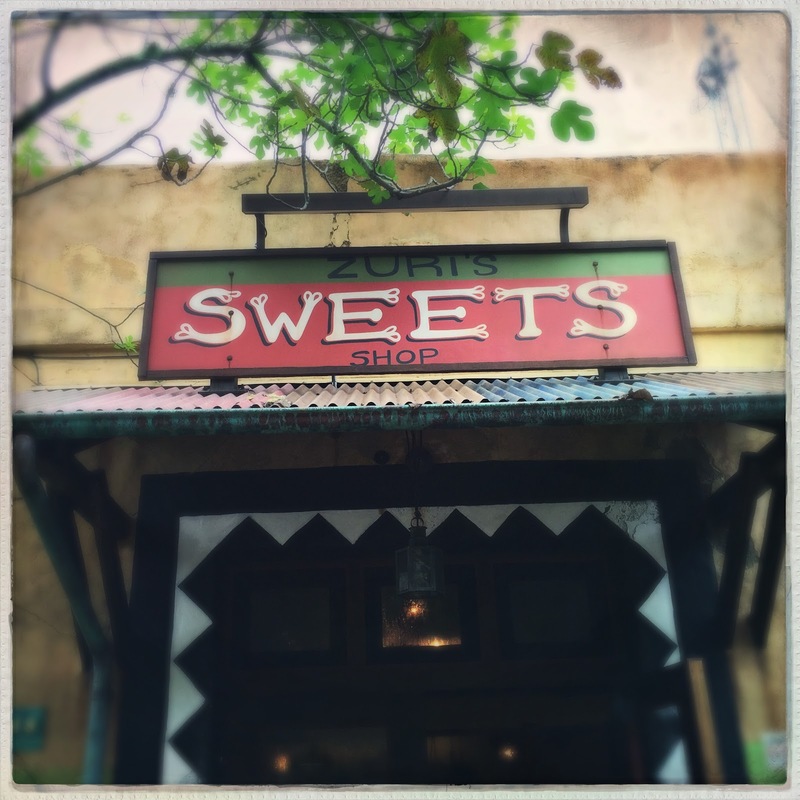 As these charming images suggest, Zuri's Sweets Shop is worth investigating a little further. It has a totally different feel than the rest of Harambe. And though it no longer carries animal poop snacks, I'm sure you will find something here for you, be it snacks or just wonderful theming. Follow along on Instagram, Twitter, Facebook.